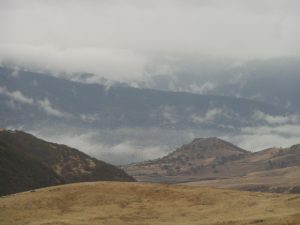 Its another stormy day here in Ashland; March is doing its “in-like-a-lion…” thing again, so its a quiet day at the shop. I’m taking the opportunity to catch up on marketing projects, website updates, and taking stock of just what we’ve created with the support of our community. This job has great rewards! Seeing the smiles on the faces of new electric bike owners as they step into (or onto, to be precise) a new chapter in their lifestyle choices brings me great joy. People coming together in the name of fun and health and greater harmony with their natural surroundings is always a rewarding endeavor. What might seem like simple or even trite changes in our daily habits can sometimes surprise us with their actual significance, and its fun to witness that process again and again. Besides that, there’s the piece of this picture where I get to play with cool new stuff all the time! 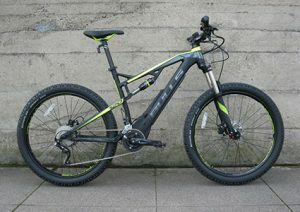 As e-bikes gain in popularity worldwide more companies are investing greater resources into refining the product. There’s an amazing evolution of innovation and features finding their way into ebikes comparable to what we’ve come to expect from car makers and motorcycle companies. More and more of the big name players are entering the scene all the time – GM, Ford, VW, BMW, KTM, Yamaha – the list goes on and on. The biggest changes we’re seeing with e-bikes are in the realm of connectivity via the internet. Diagnostics can now be performed that rival much of what you get at your best auto repair centers. 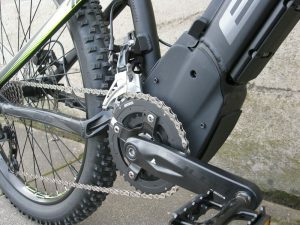 Upgrades and downloads can be pushed from manufacturers to their bikes via a computer hook-up or in some cases via the ‘cloud’. 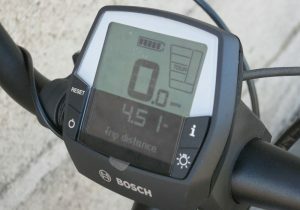 Smart phone integration for enhanced user control is also showing up on more bikes. Motors are more durable and efficient, electronics become more solid and trouble-free, and battery technology, of course, advances every season. Its such an exciting time to be alive and participating, via our spending dollars, in the progression toward healthier more sustainable ways to be and move about in the world around us. 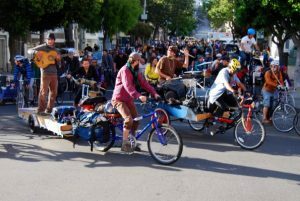 If you think that bikes are merely toys and electric bikes are just the latest fad, think again. They’re so much more than that. They represent the two-wheeled aspect of the revolution that’s sweeping (and rolling) across the face of our planet. More and more people are waking up to the fact that we need to come into much greater harmony with the natural world around us. Come join the movement; your children and their children will thank you! My comments this month are aimed at small businesses whose activities include in-town delivery/pickup of small-to-medium-size items. You know who you are: restaurants, real estate companies, contractors, retail stores, etc. If you have somebody driving around on a regular basis delivering goods or documents or meals, you have a great opportunity to minimize your environmental impact as well as a chance to generate maximum exposure and goodwill. Imagine an energized employee moving about town with ease, avoiding traffic and parking woes, and promoting yours as an eco-conscious, forward thinking business. 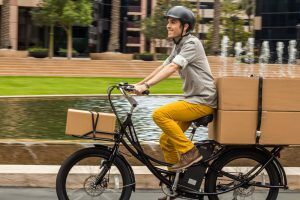 An electric cargo bike is a very cost effective means to move your goods, paperwork, etc. from point A to B in human/electric power-assisted style. 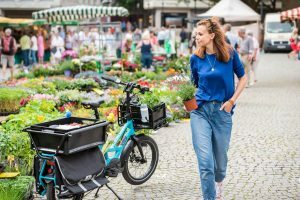 In most cases the price of the electric cargo bike will be recouped in less than a year when factored against the costs of operating a delivery car, no matter how efficient the car may be. The tasteful addition of signage on the sides of a cargo bike creates a rolling advertising tool that will have everyone’s attention as it plies the streets of town in a low impact, easy-on-the-planet fashion. You may even find employees vying for the chance to ‘make the errand run’ for the day. On an electric bike, taking care of a handful of chores around town becomes a welcome opportunity to get out and enjoy some fresh air without it becoming an epic, sweaty workout. You’ll find, as most of my customers have, that traveling around Ashland via an electric bike can actually be faster than driving and parking a car. Never has it been so easy to do so much via a bicycle. You will be amazed to discover the range of large and unique sized items that can be transported with an electric cargo bike. If all this still isn’t enough to get you out the door and on your way to see me then know this; Electric Vehicles Ashland (EVA) is offering a $300 rebate for any electric bike purchased for business-related purposes! You can contact them online or via the City of Ashland offices. So, get yourself an electric cargo bike, save a chunk of change right off the bat, and continue to rack up the savings for yourself and our one precious planet with every trip you make around town. Ten Years and Riding Strong! Our favorite local publication, the LocalsGuide of Ashland, granted us an interview in the May issue. This season marks the 10th year for us in business and the interview was an opportunity to dive a bit deeper into things. Yes, Spring of 2017 is on! We’re back at it with our ‘normal’ hours: Tues-Sat from 11-5:00. We’re also very excited to present all the new bikes we have for this season. 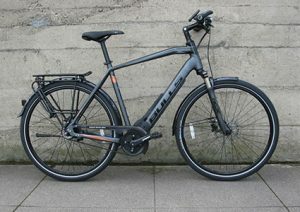 We have two models from the extensive lineup at BULLS Bikes out of Germany. These folks are really making an impact on the ebike scene here in the U.S. after many years of success in their homeland and the rest of Europe. Next is the new Easy Motion Atom Diamond Wave. 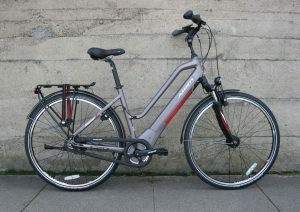 Its another Brose Center Drive style commuter with loads of features. 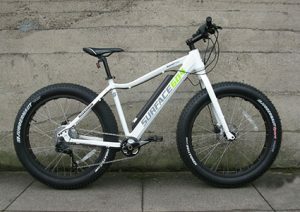 Lastly (for now) is the new Surface 604 Fat Electric Bike that’s sure to provide tons of fun in any conditions. Check the individual pages for all the details on each of these great new choices, and have a fabulous Spring. We hope to see you soon!